1. No title for the project? Why not? Any plans in the future to give it a title? Well, titles are hard to come by. I never really intended for this project to be a big zelda game, so having one would be a bit excessive. Though, if I were to ever get to work on more zelda mini-projects like this, then I would probably think of giving them all a name. Maybe "Chronicles of Zelda", or something like that LOL. 2. From your description of the game, it looks like this more of a thing to show off an engine. Any plans to turn it into a full blown game? 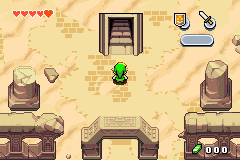 Well, for this project, I just wanted to try my hand at designing a game, more specifically a Zelda game. Instead of trying to capture the look of the series, I wanted to capture the feel of it, the engine was just a byproduct of that. As far as this project goes, everything is complete. I don't plan on incorporating the items or the puzzles you see in the game into anything bigger. I do have other ideas in my mind that I may look into (and adapt what I have into possibly), but nothing like a full-blown game. 3. What made you decide to use Zelda as a practice game? Like alot of people, I love the Zelda series. And like a few of those people, I wanted to make a fangame based on it. Of course, making a full-blown game is next to impossible, especially for one person. So instead, I just went for something alot more modest and worked on getting that right. 4. What difficulties did you have in development? Is everything written from scratch, or were pre existing engines used? Alot of the difficulty mainly came from the planning, especially with regards to the programming. Having to build the engine from scratch, I had to decide upon what, specifically, I wanted to have in the game and tried to make an engine that is flexible enough to incorporate the features that I wanted and then some. 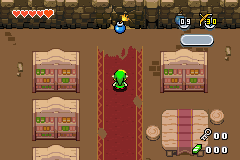 It was for that reason that I went with the Minish Cap style, since it had alot of elements that I could recycle. Day to day progress was initially kind of slow as a result, but it really did help me later on and finish it in a few months. This page was last modified on 4 October 2015, at 22:23.